This is a very effective & powerful wazifa dua for money, prayer to gain wealth and prosperity from unseen. Ghaib se rizq ke husool ke liye yeh behtareen dua ka amal hai. Wealth is something that everyone likes to have and struggles for it. It has both curse and boons. It is good if it is acquired for the sake of Almighty Allah with good intentions. You should earn so that you need not spread your hands in-front of others. So that you eat which is lawful and prevent yourself from forbidden wealth. On the other hand, if wealth is acquired without any proper goal, it will cause harm. When someone uses it just for his desires, there is a very high probability of falling into sins. May Almighty Allah benefit us from the wealth in this world and hereafter and protect us from it’s bad effects. If someone has no way of earning and no body is there to help him/her out then he/she should perform this powerful dua for money urgently. You should perform the mentioned wazifa and duas with patience. Follows the given instructions. Do not quit it in-between. The holy Quran is the best healer. If you are having scarcity of wealth, you need not become upset. Almighty Allah is the sustainer. He provides sustenance to all his creatures. Pray to Allah for increase in your income. You can practice on the powerful Quranic verse and make dua for wealth. Continue this wazifa till results are observed. There is another method to perform the wazifa for money and wealth. It is described below. If you are looking for a solution of money problems then, this dua for money problems is the best remedy for you. Read it as mentioned. Read the below mentioned dua 101 times. Again read Durood-e-Shareef 11 times. Pray for a legal source of income. Do this for consecutive 41 days. In Sha Allah, you will find some way for wealth and prosperity spiritually. If someone is looking for a concise wazifa for money then this is for them. This quick spiritual “dua for money urgently” is done by reciting Allah’s name “Ya Wahhabu”. You have to do this after every Isha salah. Read it 1100 times along with Durood-e-Shareef 3 times before and after. This should to performed for 41 days. After completing it for 41 days write it on a piece of paper and keep it with you. Surah kauser is a very short and sweet surah of the holy Quran. It has just 3 verses. So anyone can easily memorize it, recite and get numerous blessings from it. In this Almighty Allah describes about the abundant gifts and qualities that Allah, the most high granted to his beloved prophet Mohammad (peace be upon him). If you are having shortage of money or sustenance or knowledge you may take help of this wazifa of surah kauser for weath. You should perform this after your Fajr prayer. Recite it for 111 times along with Durood e Ibraheemi 3 times before and after. Pray for wealth that may benefit you. Perform it for 21 consecutive days. You will see the the blessings and abundance in your sustenance. Daulat ek aisi cheez hai jise har koi chahta hai aur isko hasil karne ke liye mushaqqat uthatha hai. Iske faide aur nuqsan dono hain. Agar daulat Allah ta’ala ke liye hasil ki gayi aur achi neyyat ke saath ho, toh achi cheez hai. Musalmano ka kamana zaruri hai take woh kisi aur ke mohtaj na hon aur dosro ke saamne haath na phailana pade. Halal rizq hasil karne aur ibadat karne me asani ke liye faidemand hai. Lekin agar daulat sirf apne khwaishaat ke liye hasil ki gayi toh isme nuqsan hai. Jis ki rozi tang ho aur mushkil se guzara hota ho wo inme se koi bhi amal karlein. Yeh ayat 41 martaba padhein. Is amal ko husool e muraad tak jaari rakhein. Rizq ki dua ka ek aur amal neeche diya gaya hai. Bohat saare log paiso ki kami ki wajeh se pareshan rehte hain. Kuch log qarz ke neeche dabe hone ki wajeh se. Aur kuch log rizq ki tangi ki wajeh se koi karobar na hone ki wajeh se. Agar aap in tamam pareshaniyon ke hal ke liye daulat hasil karna chahte hain toh daulat pae ki dua ka yeh amal karein. Isme Allah taala ke ism ka wird kiya jata hai. Ek makhsoos waqt aur jagah ka intekhaab karein. Phir is ism mubarak ko 1100 martaba 41 dinon tak padhein. Aakhri din ek kaghaz par ise likhkar apne paas rakhlein. (Allahumma tub a’laina qabl-al-mauti wa hawwin a’lainaa shiddatil mauti warzuqnaa i’ndal mauti wa laa ta’dhabanaa yaa khaliqul hayaati wal mauti tuwaffanaa muslimeena wal-hiqnaa bis-Saliheen). Yeh kalimat 101 martaba padhein. Halal rizq ke liye dua karein. Is amal ko musalsal 41 dino tak karein. If you do wazifa on your own its free of cost and for Amulets (taweezat) service there is a fee. Quranic verses must be read with correct pronounciation. Those who do not know to read Quran shareef with correct pronounciation must learn it. 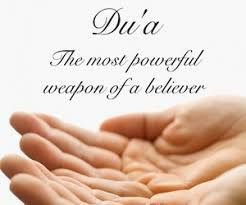 please how many times is the Dua going to be recited for each day and for how long is it going to be recited. Do it for atleast 41 days. It is updated with transliteration. Check the post. It is a must to recite with correct pronunciation.